Chinese tech giant Baidu announced partnerships to build self-driving vehicles starting in 2018. The company’s software will be used in a mini bus and mass-market consumer vehicles. The company has been making significant investments in autonomous driving technology to compete with American companies like Tesla and Waymo. 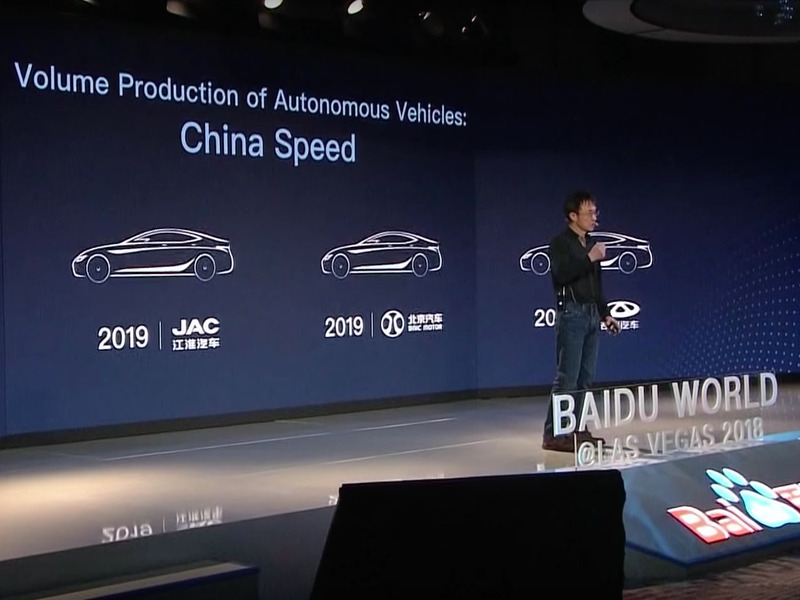 At CES in Las Vegas on Wednesday, Chinese tech company Baidu announced an update to its Apollo autonomous driving software and revealed that the software will be used in mass-market vehicles that will start production this year.